This fall, Vulture is partnering with the podcast Song Exploder for a series of episodes on the most interesting film scores of the year. Here, host Hrishikesh Hirway interviews Icelandic composer Jóhann Jóhannsson about the music of Arrival, his third collaboration with director Denis Villeneuve. (His fourth, the Blade Runner sequel, is coming in 2017.) 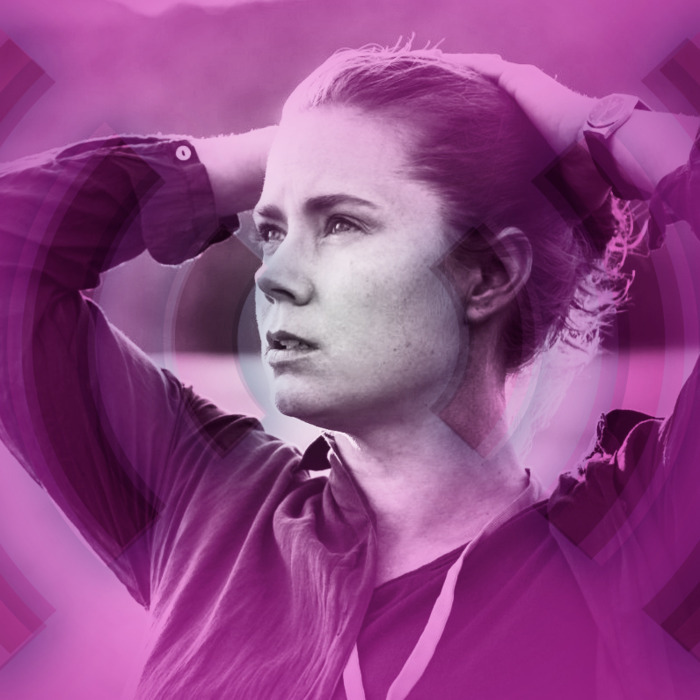 Jóhannsson was nominated twice in the Oscars’ Best Score category last year, and his minimalist arrangements for Arrival have made him one of the front runners in this year’s race as well. Below, Jóhannsson walks Hirway through the structure of the soundtrack’s “Heptapod B,” explaining how he drew from the film’s linguistic themes in its composition. A few excerpts from the conversation follow; listen to the episode below, and subscribe to Song Exploder on iTunes. I was working in a studio in Berlin with some great analog tape machines, and spent several days recording various instruments, creating these rich, layered analog tape loops. I recorded them at various speeds. A low note, for example, recorded at high speed and then played back at the lowest speed becomes this subsonic rumble. We did this with several instruments: cello, trumpet, the human voice. On each channel we were doing sound-on-sound recording, recording over the sound while keeping the previous sound so we had this ghostly remains of the previous loop. These sounds were a very important part of the sound world that I was constructing. That really set the tone of the film. The rhythm was established very early on, this insistent bass-drum pattern. We used the modular synthesizer to create the bass drum. It’s played by a human, so it’s not a machine beat, it’s not quite on grid. The role of the bass drum is to keep a rigid tension throughout the track, because everything else is arrythmic, and kind of random. Those are really the only electronic elements in the whole track. The rest of the percussion is all pieces of wood from various trees, played with various mallets. Wood seemed to be something elemental. By moving up and down the plank you get different resonances, different tones. We did many layers of these performances, then I took those recordings and processed them further. They’re filtered, they’re distorted slightly. This piece was written to an exposition montage that shows the linguists working to decipher the vocal sounds that the aliens emit, and basically trying to learn their language. It was immediately clear that the human voice would play a large part in the score, but I wanted to use it in the way that it hadn’t been used in movies before. If you think of a science-fiction choir, you think of 2001 and [György ] Ligeti; that was something that I definitely wanted to get away from. Find other techniques of using the human voice. I avoided long notes. I wanted to work with this stuttering, random rhythm pattern of female voices. I wanted something that was a cloud of staccato rhythms, unpredictable and out of time. It’s many layers of different singers. I was working with the Theater of Voices, conducted by Paul Hillier. Everything was written out on sheet music, but we also improvised. One of the first things that became clear was this this would be a wordless vocal score. The choir is never actually singing real words; they’re singing syllables, they’re singing nonsense words. I was listening to legendary avant-garde vocalist Joan La Barbera, a piece of hers named “Erin.” At one point you hear this leaping melody. She just does it once, but I latched onto that. I decided to sample it, and create a loop out of it. It’s almost like baby talk, like language being developed and being formed. And that kind of resonates with the actual scene, where they are reverse engineering the language based on the writing and on the sounds emitted by the aliens.